Keep your chicken from drying out by coating it with mayonnaise before tossing it in the oven. This moist chicken recipe will have your guests begging for your secret - and it only requires 3 ingredients! 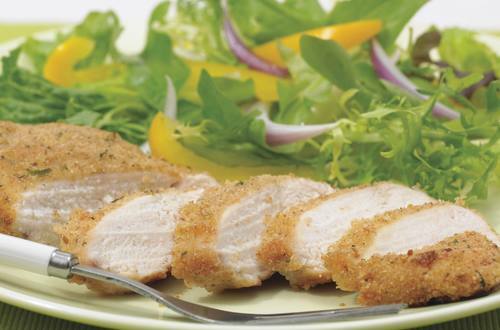 2 Brush chicken with Hellmann's® or Best Foods® Real Mayonnaise, then coat with bread crumbs. Arrange chicken on baking pan.